As parents of children with type 1 diabetes, we can empathize with parents of children with food allergies. 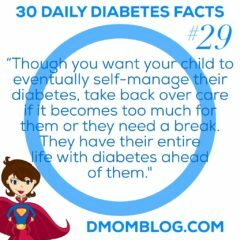 This is why D-Mom Blog supports the Teal Pumpkin Project to notify parents and their kids that we have non-candy Halloween treats. The first Halloween after a child is diagnosed with type 1 diabetes can be particularly tough on both the child and her parents. The d-kid can’t just eat a bunch of candy with wild abandon. Kids on multiple daily injections (MDI) might have to get an extra injection if they are eating their Halloween candy outside of a normal meal time. And getting an extra injection isn’t exactly fun! Our family has long been a proponent of non-candy treats, even before Q was diagnosed with diabetes. 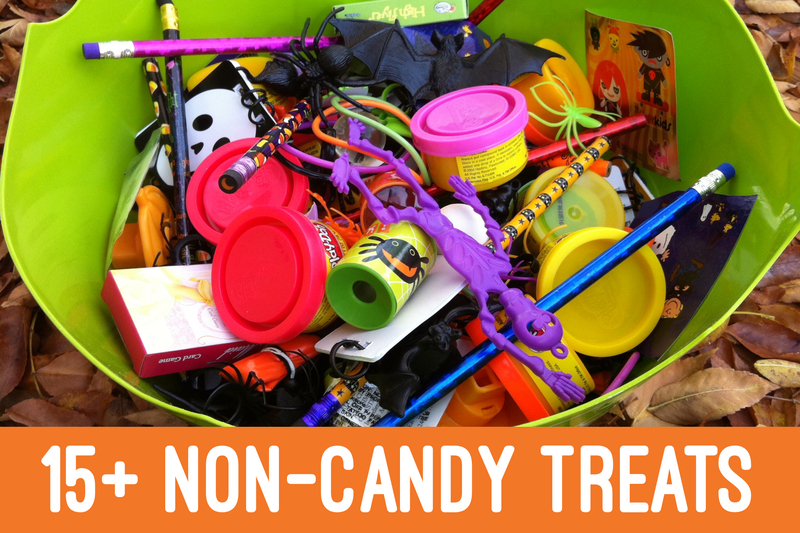 We have fun picking out non-candy toys and trinkets to hand out. And we usually stock up when leftovers are on deep discount the first week of November. That being said, we do not deprive our d-kid of candy. All things in moderation. 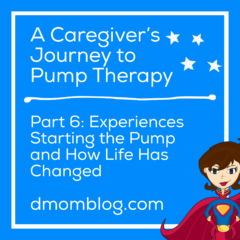 It’s made a little easier with the insulin pump. And it’s even better when she adds the candy to a meal because it might not spike her as high. 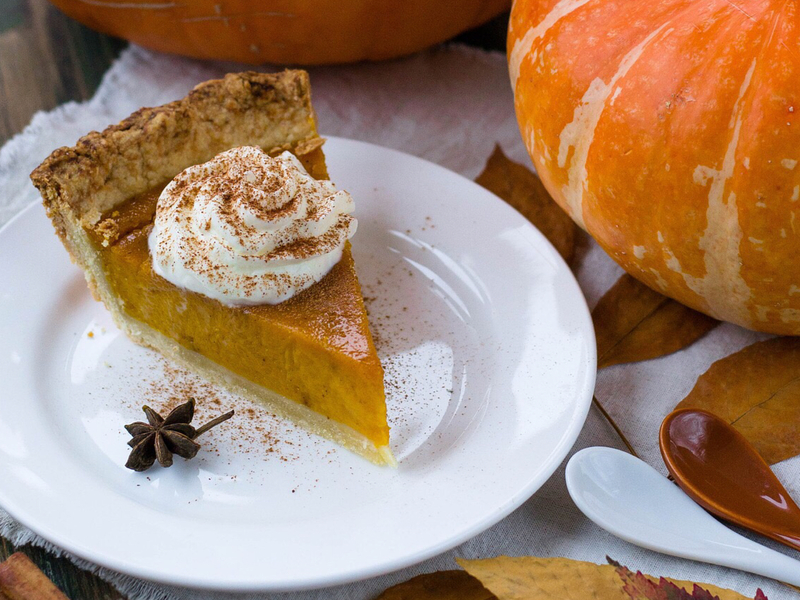 (Read the post Don’t Get Spooked…tips for navigating Halloween with type 1 diabetes or food allergies.) 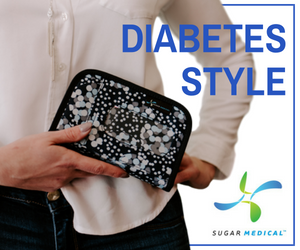 We even stash away high sugar candies like Skittles and Smarties to treat low blood sugars. 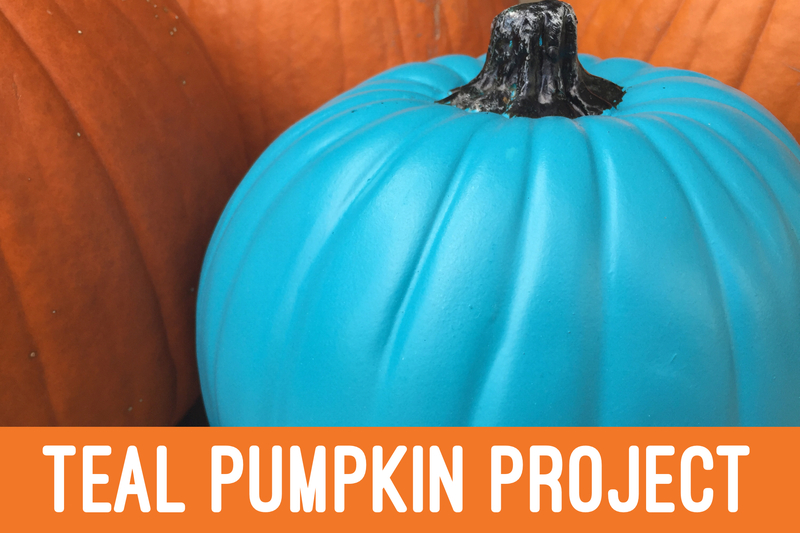 So why do I think all of us d-moms and d-dads should support the Teal Pumpkin Project even though our kids with diabetes can eat candy (with insulin to cover it, of course!)? We totally get what it’s like to have a child with a life-threatening medical condition. We totally get that some kids can’t put something in their mouths without parent approval (for us it’s for carb count, for a child with food allergies it’s to make sure it’s safe). We totally get the stress that special occasions can bring…even though they are supposed to be fun! So let’s tell the kids with food allergies (and their worried parents!) that we’ve got their back this Halloween. 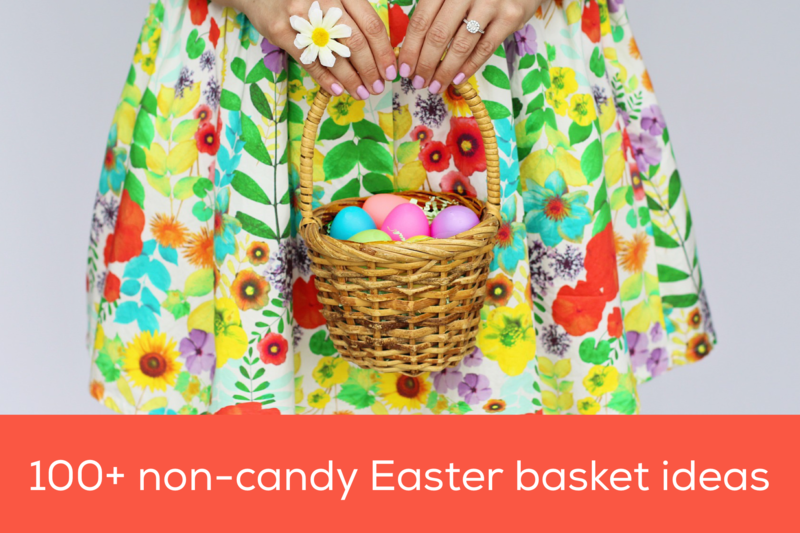 Here are over 100 non-candy Easter basket ideas for kids with type 1 diabetes, celiac disease, or food allergies. Or just for parents who don’t want to load their kids up with candy and sugar! 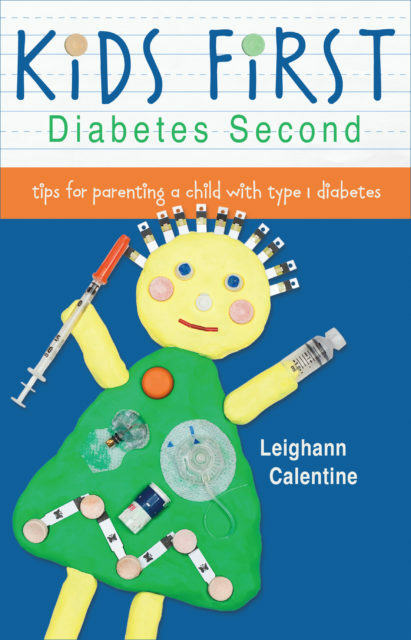 I know you are fretting about what to give your child with type 1 diabetes or food allergies this Easter. 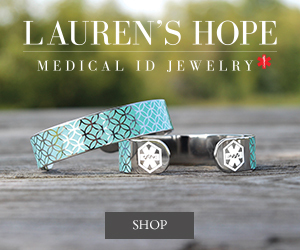 Perhaps it’s your first Easter dealing with this medical condition and your anxiety is on high. Your child with diabetes or food allergies can have just as much fun because candy doesn’t have to be the focus. My suggestion is to treat all the kids equally. If one gets a chocolate bunny or Peeps, they all get a chocolate bunny or Peeps. 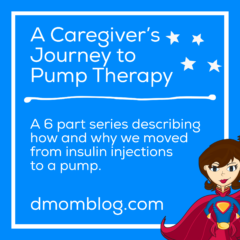 Insulin can be given for the candy (and if your child gets injections, you can easily add the carbs to a meal so that she’s not getting an extra injection). And there are companies that make chocolates free from some of the top allergens. This list includes many items that are inexpensive and range from $1 to under $5. There are a few items which may be more. Many can be found in the dollar aisle or seasonal/Easter aisle and lots of these come in cute Easter or spring themes. Some of the items are small enough to fit inside of plastic Easter eggs if you are planning a hunt. We usually do an Easter scavenger hunt. The Easter Bunny leaves clues and in each location there is one item for each child. The kids work together to find each surprise. Although these are non-candy options, our kids do receive a chocolate bunny. My child with diabetes gets the same amount of candy as my child without diabetes. They both eat a small chunk of chocolate during the week with meals. Because what’s Easter without a chocolate bunny?! *These small Lego sets are usually under $5 and can be found with the seasonal items or at the checkout. They come in a bag instead of a box. 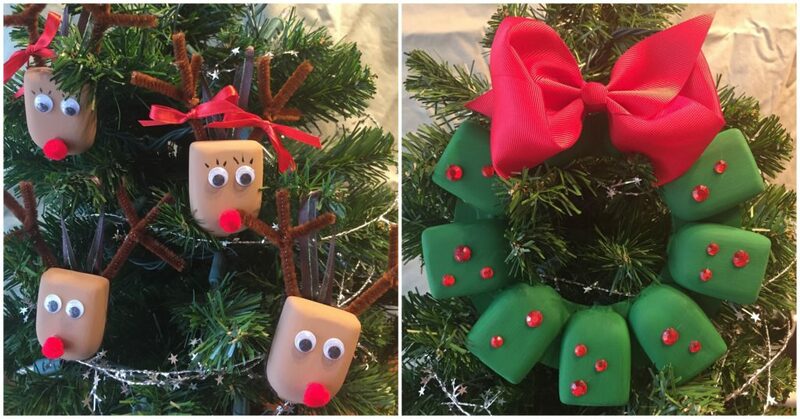 Looking to fill your teenager’s stocking and need fresh ideas? 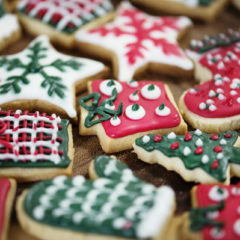 Here are 30+ non-candy stocking stuffer ideas for teens (with or without type 1 diabetes). 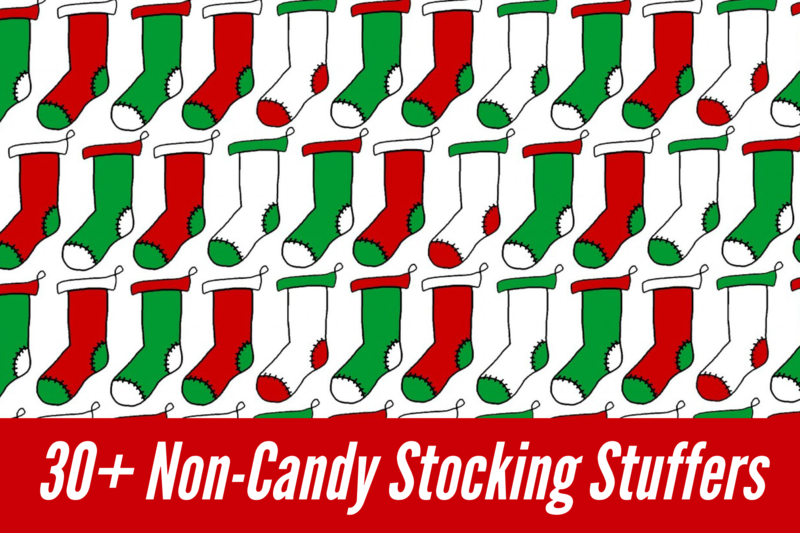 I shared my 30+ Non-Candy Stocking Stuffer Ideas with you recently. Q is now a teenager (what?!). A reader asked for ideas for teens and here are a few we came up with. These would also be great for college-aged students. Read more posts about holidays and my 30+ Non-Candy Stocking Stuffer Ideas, which may also interest older kids. Some parents don’t want to fill stockings with tons of candy. 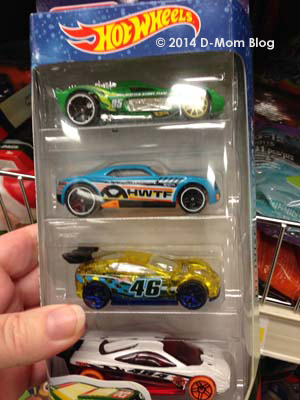 Here are 30+ non-candy stocking stuffer ideas for kids with type 1 diabetes or food allergies. Update: A reader asked about ideas for older kids. 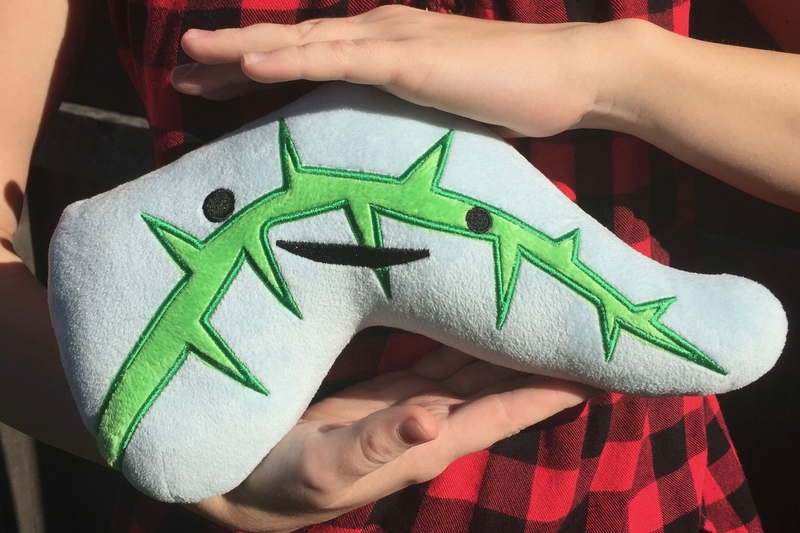 Please read Non-Candy Stocking Stuffers…for teens! My kids’ stockings usually have a combination of candy and small items. 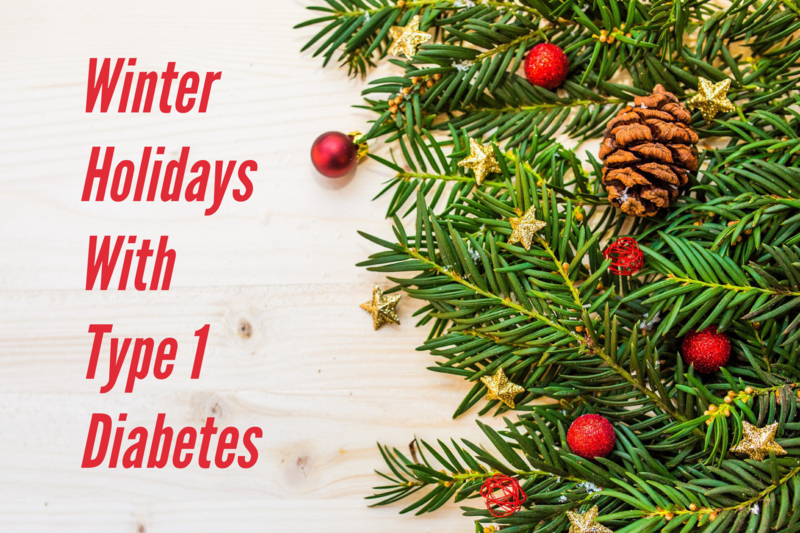 I know many parents of kids with type 1 diabetes or food allergies prefer to include non-candy items in stockings, so I’m sharing some ideas of easy-to-find and not-very-expensive toys and trinkets. Tip: Look near the Christmas/holiday aisle for displays of specially packaged items which are often the right size to stuff into stockings. Here are 30+ non-candy stocking stuffer ideas. For even more ideas check out 50+ Non-Candy Easter Ideas and 15+ Non-Candy Ideas for Trick-Or-Treating and Halloween Parties. 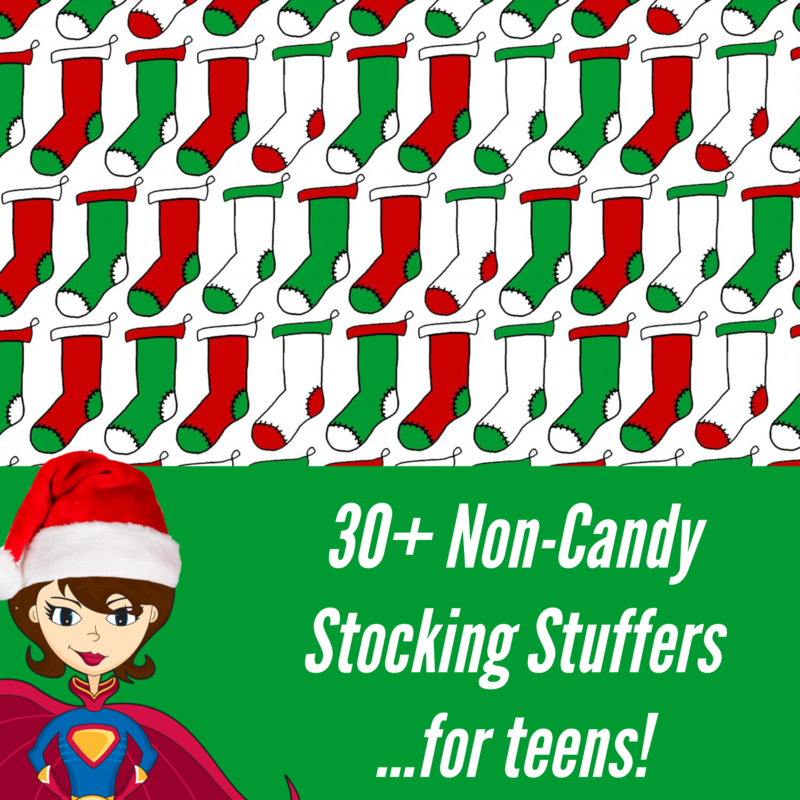 Read more posts about the holidays and see my suggestions for non-candy stocking stuffers for teens. When I was cleaning out the pantry a few weeks ago, I found a bag of candy from last Halloween and Valentine’s Day. I’m not even kidding! My kids put a piece in their lunch box each day for a few days and have a piece or two with snack and then forget about the stash. I don’t deny my child with diabetes candy. All things in moderation. Let kids enjoy childhood rites of passage such as haunting the neighborhood on All Hollow’s Eve. The tree nut allergies are a bigger thing for us these days, and Halloween candy is notorious for having cross-contamination risks for nuts.